A world-class mountain bike park has been constructed in Wellington Park. 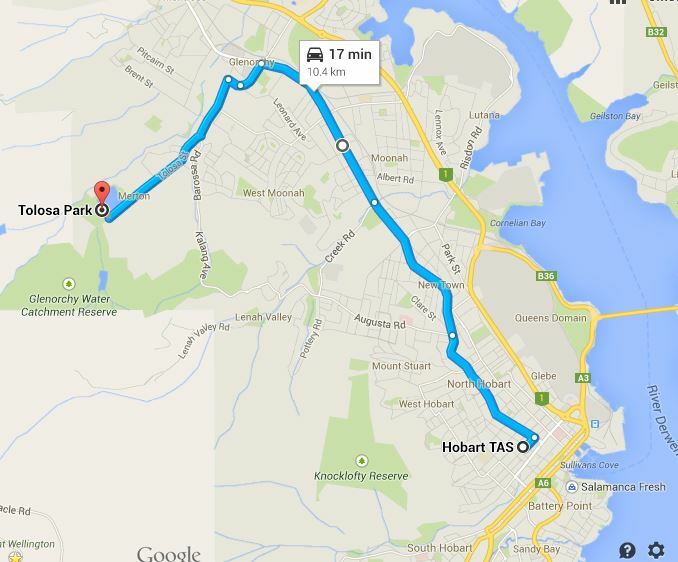 The entry is located behind Tolosa Park in Glenorchy. The track caters for all levels and types of mountain bike riding, and provides a state-of-the-art facility for local and interstate riders. There is no entry fee to use the track on a casual basis. 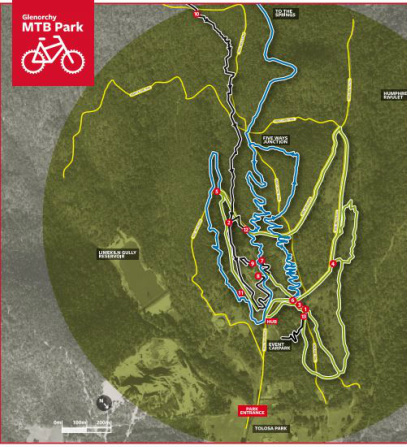 The Wellington Park Management Trust, Glenorchy City Council, the Office of Sport and Recreation and bike riders are working with the Glenorchy Mountain Bike Park Association Inc. to further develop bike riding opportunities within Wellington Park. The Glenorchy Mountain Bike Park includes Cross Country, Downhill, Mountain Cross, Dirt Jumps and North - South tracks. Various trails feed into the park through steep dry Eucalypt forest and open up into the main jump area. Riders can also start or finish the North South multi-use track from the Mountain Bike Park.The park provides mountain bike riding opportunities for all skill levels, including ‘extreme’ riders. Bushwalking and on-lead dog walking is also welcome. The park is a free public facility. The park is located at the top end of Tolosa Street – just past Tolosa Park. There are tall red poles at the gate and a large sign. The gate remains locked for security reasons – however you are free to push your bike through the space provided on either side of the gates. Parking is provided at the gates and cars should not proceed beyond gates. The park is only a few hundred metres past the gate. The local mountain club also hosts occasional local races at the park – check www.dirtdevilsmtb.com for details. Major events are also hosted at the park such as the Australian National Mountain Bike Series, where many of Australia’s top riders entertain.